WorleyParsons has been awarded a contract to perform engineering, procurement and construction management (EPCM) services for Rio Tinto’s Koodaideri iron ore mine in the Pilbara region of Western Australia.The award of the EPCM contract follows the completion of the detailed engineering study for the Koodaideri project. The project will be executed over a three-year period from the Perth project office with additional support teams on the mine and rail locations. WorleyParsons will use data centric engineering processes to also produce a digital asset for Rio Tinto. “We are pleased to expand our relationship with Rio Tinto onthis important project”, said Andrew Wood, Chief Executive Officer of WorleyParsons. 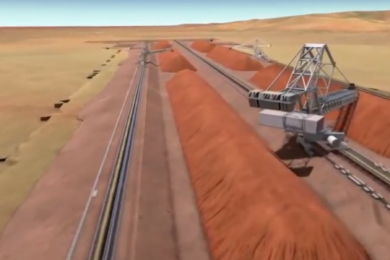 Koodaideri will deliver a new production hub for Rio Tinto’s iron ore business in the Pilbara, incorporating a processing plant and infrastructure including a 166 km rail line connecting the mine to the existing network. Construction on Koodaideri Phase 1 will start this year with first production expected in late 2021. Once complete, the mine will have an annual capacity of 43 Mt, underpinning production of the company’s flagship iron ore product, Pilbara Blend. The operation has been designed to use an increased level of automation and digitisation, helping to deliver a safer and more productive mine, which is expected to be Rio Tinto’s lowest cost contributor to its industry benchmark Pilbara Blend product. Koodaideri will feature technology already in use across Rio Tinto, such as autonomous trucks, trains and drills, and implement systems connecting all components of the mining value chain for the first time.